Gold's Gym is a chain of fitness gyms in the United States, with corporate headquarters in Dallas, Texas. The company operates franchises and most, but not all, of the locations are independently owned and managed. Although the cancellation policy is similar at most Gold's Gyms, each location has its own rules. The Gold's Gym corporate website does not accept membership cancellation requests. You must check with your Gold's Gym location or read your membership agreement for specific cancellation instructions. You can only cancel your membership in person or by mail; you cannot cancel via email or phone. Most Gold's Gyms have similar cancellation policies. However, because the gyms are independently operated, each location has its own instructions, document requirements and penalties for canceling your account. Talk to a representative from your local Gold's Gym. 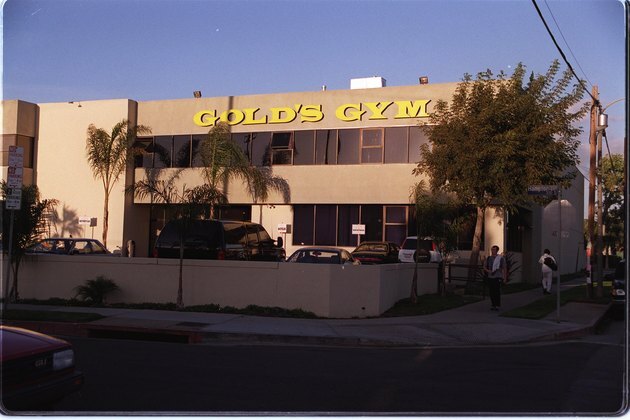 Most Gold's Gyms require you to sign a one or two-year contract when you first join the gym. After your contract ends, your membership automatically changes to a month-to-month contract, which you can then cancel at any time. If you are still within your original contract period with Gold's Gym, you might have to pay a cancellation fee to end your membership. You can typically only cancel your initial contract because of a medical condition or if you are moving. Otherwise, you will have to pay off the remainder of your contract. Depending on the specific gym, you usually have to move at least 25 to 35 miles away to cancel your membership. Each location requires various documentation to prove you are moving, such as a lease or new utility bill. If you have a substantial medical condition or disability, Gold's Gym requires documentation from your physician. You usually have to mail this information along with a cancellation fee, if applicable, to your Gold's Gym. Note that some gyms require that you send the information via certified mail. If your contract has changed to a month-to-month automatic renewal, you can cancel at any time. Most Gold's Gym locations require a 30-day written notice via regular or certified mail. Check your membership agreement for the correct address to send your notice. Some gyms have you send it to the local office, others request you send the information directly to the financial company that handles Gold's Gym accounts, which is ABC Financial Services.